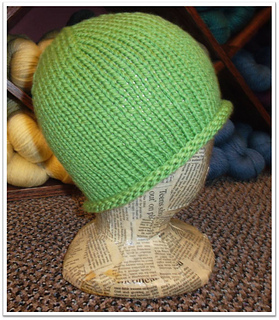 Simple Stockinette Stitch Beanie. The only shaping is knit 2 together. Great project for the very new beginner. This hat pattern was designed for the brand new knitter as a first time project. As such, there is no required gauge and knitting a swatch is not recommended. 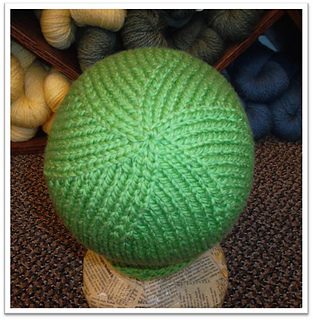 With practice, knitting will become more natural and your tension will most likely change. 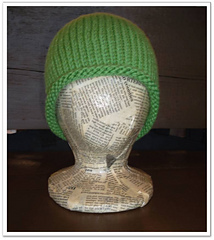 Therefore, knit the pattern as written, and with any luck, it will fit you or someone you know (and love enough to give your first project to)!